Frederick Keller ’64 has received two international awards for his contributions to interventional radiology—the CIRSE (Cardiovascular and Interventional Society of Europe) Gold Medal, awarded to individuals who have devoted their talents and energy to the advancement and quality of medicine, patient care, and interventional radiology, and the 2010 International Cooperative Award from the Chinese Society for Interventional Radiology for his contributions to the field in China. 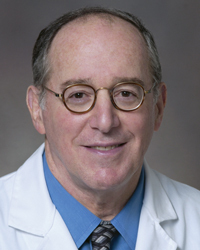 A physician and professor at Oregon Health and Science University (OHSU), Keller, who also serves as director of the Dotter Interventional Institute, Cook Professor of Interventional Therapy, professor of surgery, and chair of diagnostic radiology, is only the second American physician to be honored with the Gold Medal by CIRSE. Keller’s students, residents of both the radiology and internal medicine departments, have named him outstanding teacher and best radiology discussant, and he has been recognized for his clinical expertise in interventional treatment. Past honors have included the Gold Medal of the Society of Interventional Radiology; distinguished fellow of CIRSE; an endowed chair, the Frederick S. Keller Chair of Interventional Radiology, established in his honor at OHSU; honorary professor at the Third Beijing University School of Medicine; and professor titular of the faculty of medicine, University of Buenos Aires, Argentina.